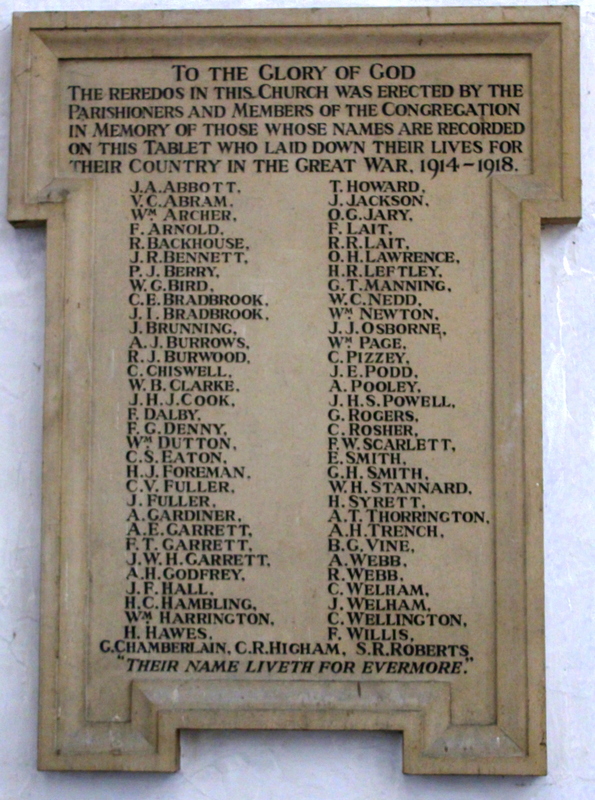 Robert is remembered on the war memorial at St. Clement’s Church, Ipswich. Died: 27th June 1922, at Lambeth Infirmary, 126, Brook Street, Lambeth, London; age: 41; died of disease. No Post Mortem. Residence: 8, Valentia Road, Brixton. 1891 19, Potter Street, Ipswich. Robert was 10 years old and living with his parents & brothers. Harry Lait, 47, a Gas Lamplighter, born Ipswich. Sarah Lait (nee Jaye), 37, born Woodbridge, Suffolk. Arthur Lait, 8, born Ipswich. Harry Lait, 6, born Ipswich. Frederick Lait, 3, born Ipswich. Charles Lait, 11 months, born Ipswich. 1901 19, Potter Street, Ipswich. Robert was 19 years old, a Carrier’s Apprentice. He was living with his parents & siblings. Harry, 58, a Gas Worker. Harry, 16, an Errand Boy. Frederick, 13, a Tobacco Spinner. Margaret Lait, 6, born Ipswich. James William Lait, 4, born Ipswich. 1911 31, Wickersley Road, Battersea, London. Robert was 30 years old, a House Painter – Builder. He was living with his partner and children. In 1901, Ipswich, Robert married Florence Harriet Baggott, born 1876, Peasenhall, Suffolk – died 1916, Ipswich. Amelia Lait, born 1908, Ipswich. James Lait, born February 1910, Battersea. Ivy Lait, born July 1912, Battersea.